It has finally warmed up a little here! We had a spell for a week or so where it was consistently falling below -20 (with the wind chill that’s more like -30). I am sure my friend Wayne out in Calgary is snickering right now if he’s reading this (-30 is par for the course out his way in winter), but I’m sure not used to this sort of thing. Our heating bill is mad! Mad I say! On my way home from work last week I stopped by Waterloo Park, a favourite of mine, and grabbed a few shots of the water fall. Now, I have shot this location a lot (click here and here), and at least once in winter (click here). While I was pleased with my attempts in the fall of 2009, I was never quite happy with the results from last winter. The photos were too bland, and too blue for my liking. The images looked cold, but not in a way that conveyed the temperature. They felt sterile, and that is not at all how the park feels to me. On this outing, I wanted to move away from conveying the frigid temperature of the air and more towards conveying the feel. The sun was setting when I was there, casting a golden reflection on the water. I also wanted to focus on details rather than the whole as I have tended to do in the past. I wanted to capture the intimacy of these little falls. 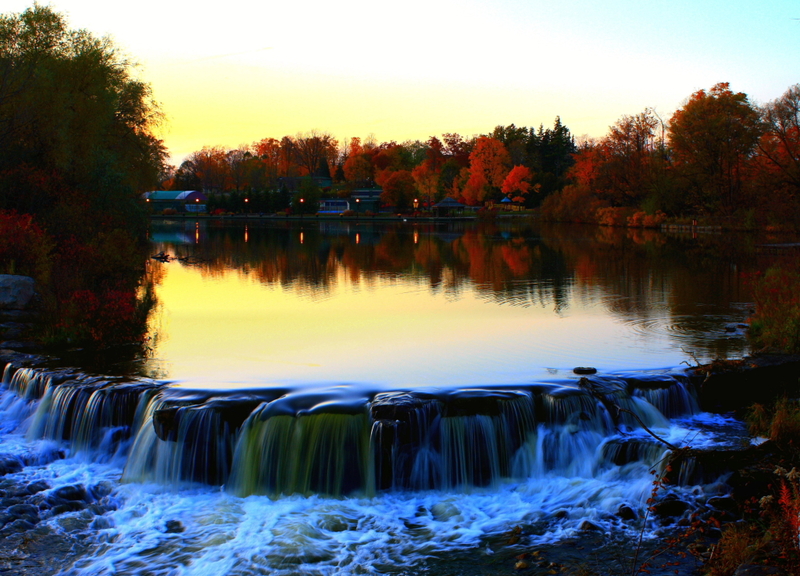 For this set I used my Canon 80-200 lens, with no Polarizer so I could catch the golden light reflecting off the water. In post, I used Canon DPP to adjust the brightness and contrast and tone down the blues very slightly, and then used Picasa to adjust the colour temperature. I was quite happy with this new take on an old favourite, and I hope you are too. Thanks so much Amber. I was really pleased with the second shot as well. Excellent shots Mike. The lighting and textures of the ice are great. I really like the movement of the water in the second image. Thanks Scott! I think that first one is already a 2011 favourite 🙂 Funny that we both posted on similar subjects this week. Wow great photos Mike. 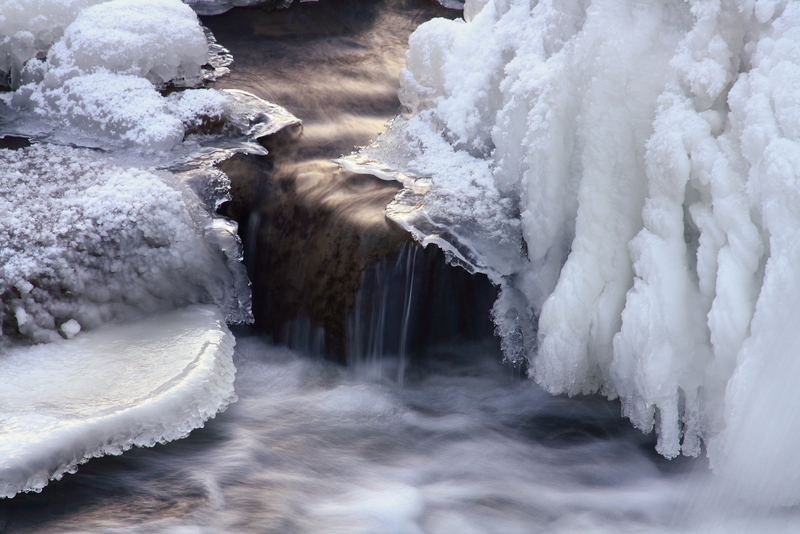 Flowing water in winter, what could be better then that? Great stuff. Keep the images coming I will continue to follow along. 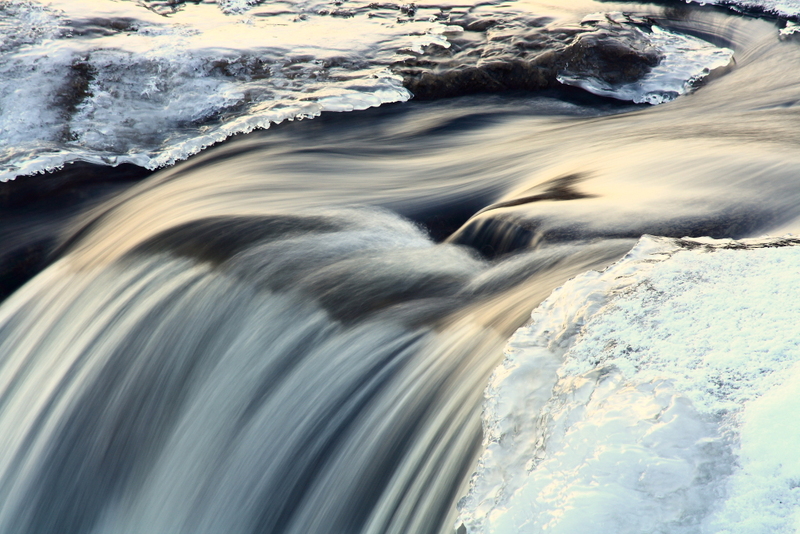 Oh, I have a great place to take you to shoot some frozen waterfalls when you come north, lol. Thank you sir! Always nice to hear your comments.